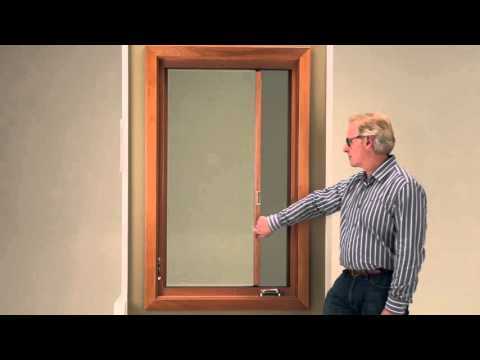 The Marvin Ultimate Replacement Casement can easily update your home and increase energy efficiency. It offers a flush exterior and narrow jamb making it perfect for frame-in-frame replacement applications. The Ultimate Replacement Casement window’s versatile design allows it to be installed without removing the entire window or disturbing your existing frame or interior wall, which reduces the amount of time needed for installation. Retractable Screen - The innovative Retractable Screen from Marvin® Windows and Doors makes the most of the Casement windows providing a screen that lets the breeze in and easily retracts out of sight to offer enjoyable scenery. A tight seal, a strong adjustable pull bar and hidden closing engagement system ensure extraordinary performance and superior looks. Marvin’s unique concealed design makes the screen nearly undetectable when the screen is in the retracted position. No more replacing screens with the seasons again.